This is one of those things you’re supposed to screenshot, right? An aspiring novelist should probably print and frame it. 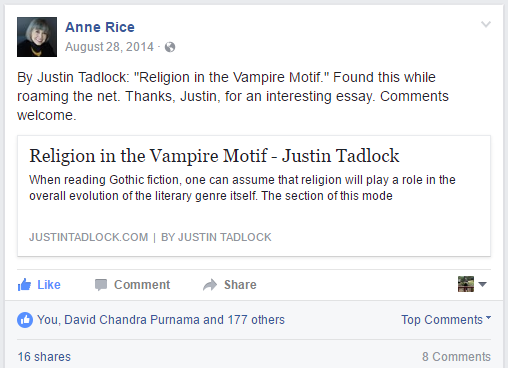 If you’re interested in the essay, here you go: Religion in the Vampire Motif.